Ferryside owes its name to the Ferry across the estuary of the River Towy, that was on the medieval pilgrims' route to St. David's Cathedral. Its location, easily accessible from Carmarthen and Llanelli by road and rail, make it a popular place for young families and retired people alike. It has a primary school, post office, three places of worship, pub, hotel, sports club and yacht club. 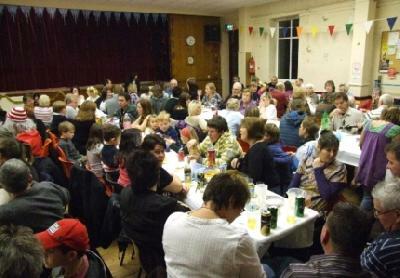 The hall was built in 1925 by a local businessman as a commercial venture. Originally a two storey building, the owner and family lived 'over the shop'. Also upstairs was a billiard hall, and the ground floor consisted of a shop/café, the family kitchen, a large hall. In 1948 it was taken into public ownership. By 1965 the property was in a poor state of repair. Because of funding constraints, accommodation had to be sacrificed by removing the upper floor, but the ground floor was completely refurbished. Large hall (seating capacity 200) with proscenium stage and dressing room. Well-equipped kitchen and two meeting rooms. There is a step up into the hall and a portable ramp is used for wheelchair access. Audio/visual system including screen and projector, DVD/CD Player, Freeview TV, Loudspeakers, Microphones and Mixing Desk. 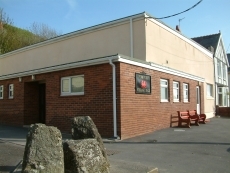 The hall is located on the main street through Ferryside, South of the Railway Station.